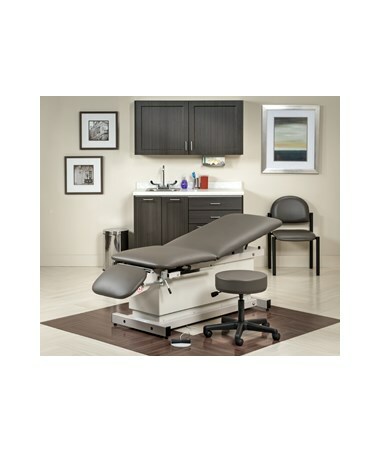 The Clinton Industries Complete Power Exam Room Furniture Package - Fashion Finish Ready Room is a compilation of Clinton's Power Treatment Table and other essentials needed to set up an exam room. This package is an affordable, hassle-free and quick solution to gather all the needed furniture from a reliable company like Clinton. It eliminates the hassle of finding multiple, individual items at different prices. The Furniture Package includes the Power Exam Table with Adjustable Backrest, a Wall Cabinet, a Base Cabinet with Postform Countertop, a Pneumatic Stool, a Glove Box Holder, a Medium Waste Receptacle and an Exam Side Chair. 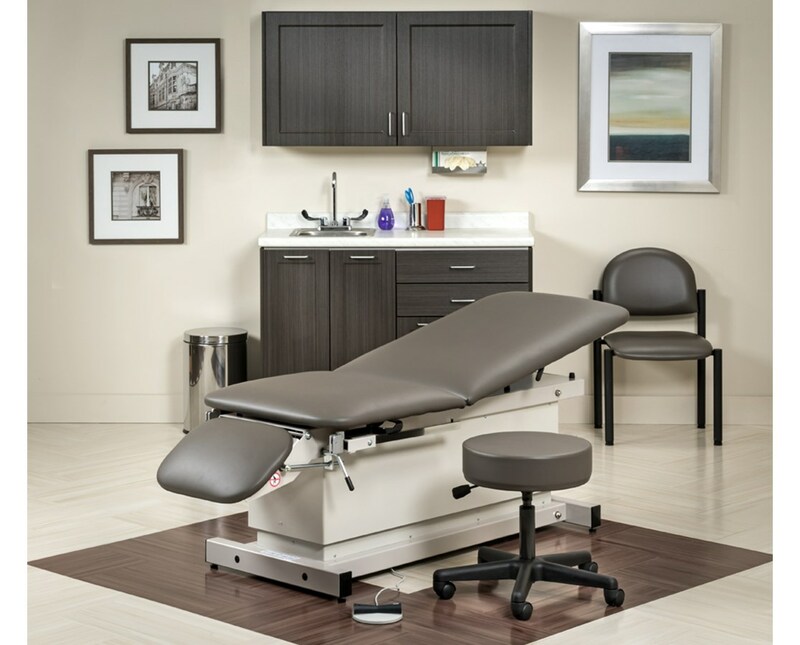 The Clinton Industries Shrouded Power Exam Table is a user-friendly and durable device designed for optimal patient comfort. It has a seamless, easy-to-clean upholstered top with a 2" ultra-firm padding and rounded corners. 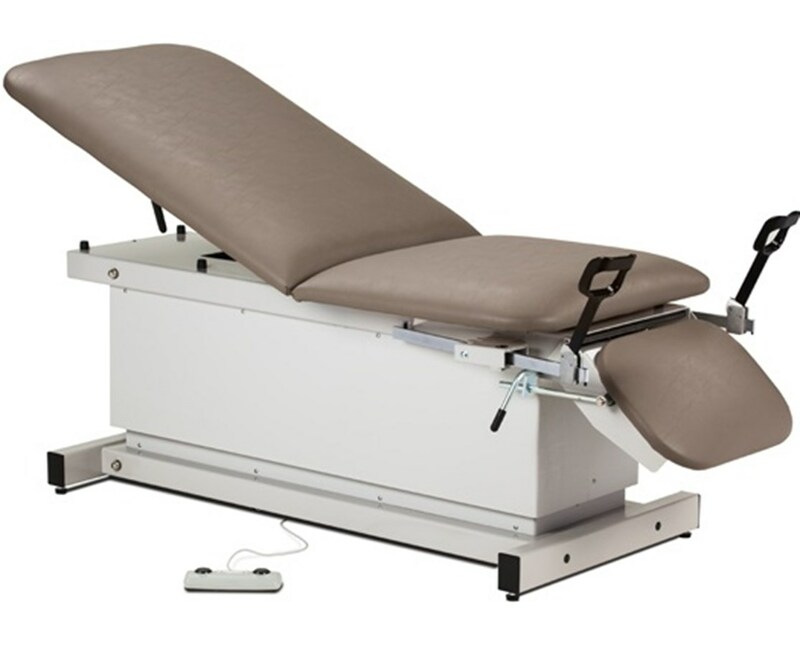 The Exam Table has a 450-pound weight capacity and features an adjustable pneumatic backrest that can be raised 80 degrees from a flat surface. It comes with a size of 76" L x 27" W x 21" - 34" H and choice of Upholstery Colors. With its durable and easy-to-clean construction, the Clinton Industries Fashion Finish Wall Cabinet is designed with a tough thermofoil surface with no front facing seams and can store multiple medical supplies, items and tools. It has two doors that have fully adjustable and soft-close hinges. 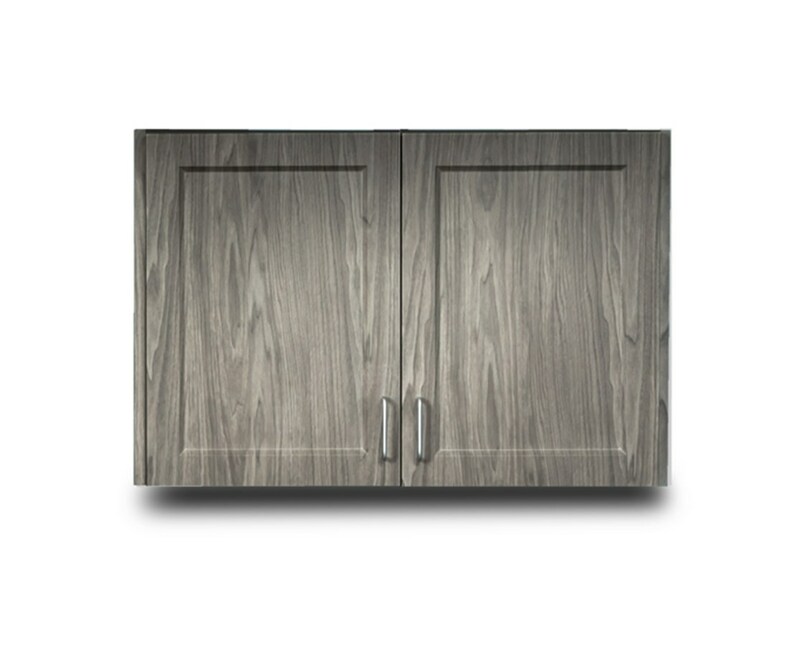 The Cabinet has a size of 48" L x 12" D x 24" H and a choice of Fashion Finish Colors. The Clinton Base Cabinet with Postform Countertop is a high-quality and easy-to-clean device made to help optimize any work environment. It features durable thermofoil surfaces and an aesthetically-pleasing design with a size of 48" L x 18" W x 35" H, a 75-pound weight capacity and a 3" Postform Countertop that eliminates backsplash. 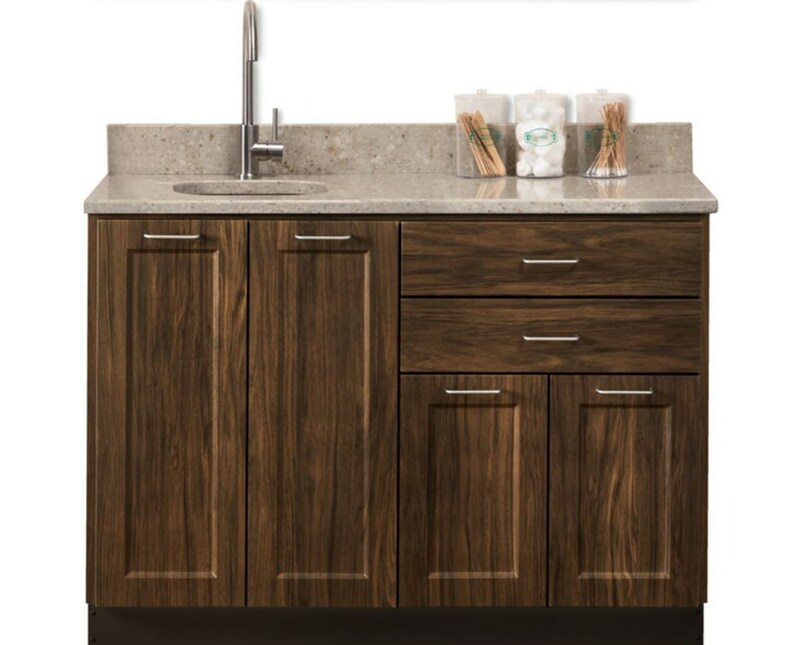 The cabinet comes with a choice of fashion finish colors while the Postform Countertop has a choice of 3 Colors. The Glove Box Holder is an open-design device with a single, stainless steel construction which allows for quick and easy glove identification. It has a universal size of 10" H x 5.5" W x 3.75" D which fits most glove boxes. Please note that this model is not MRI compatible. 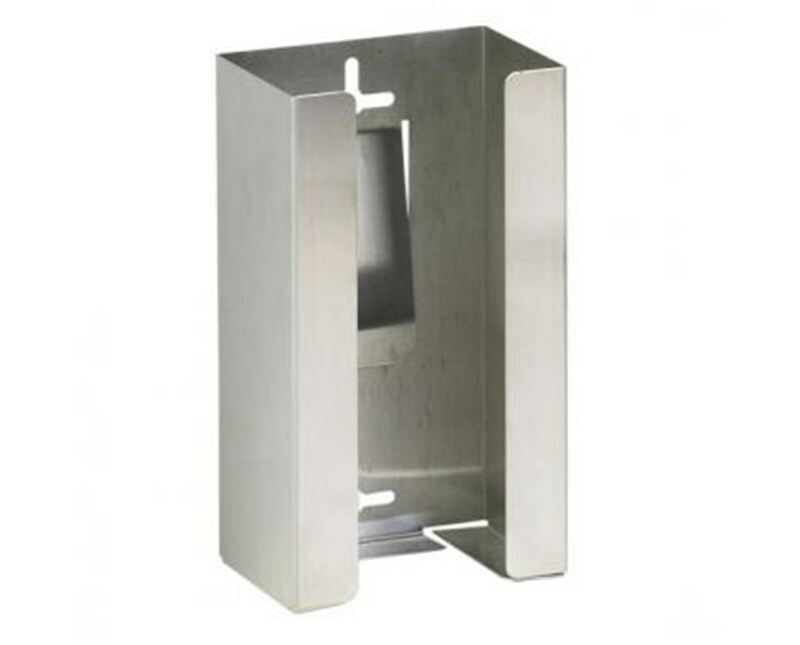 Featuring a stainless steel construction, the Waste Receptacle is a durable medical tool ideal for any medical facility. 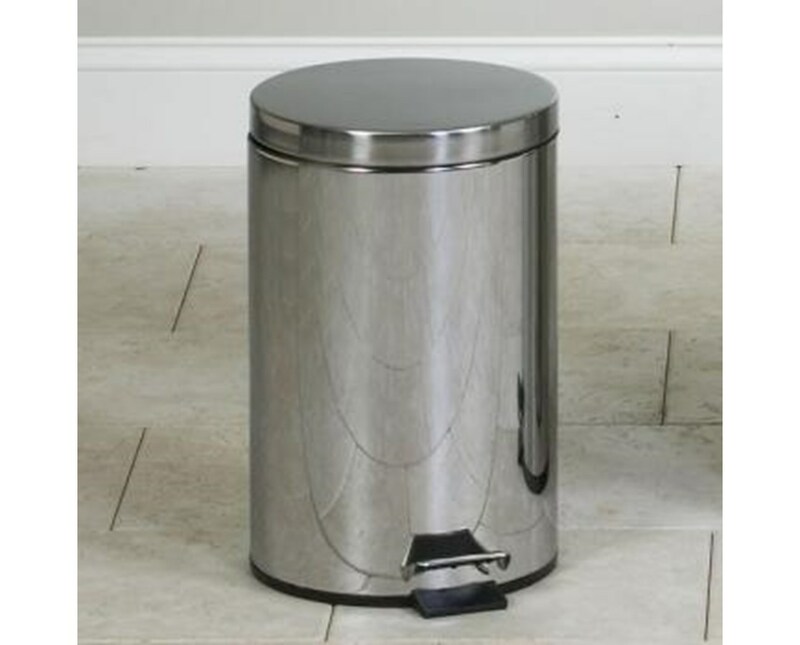 It has a chrome handle for easy transport and a step-on foot pedal that operates the lid. The Waste Receptacle can hold up to 20 quarts or 5 gallons of medical waste and has a size of 14" D x 17.75" H.
The Clinton Industries Exam Side Chair is a robust piece of furniture made with high-quality materials. 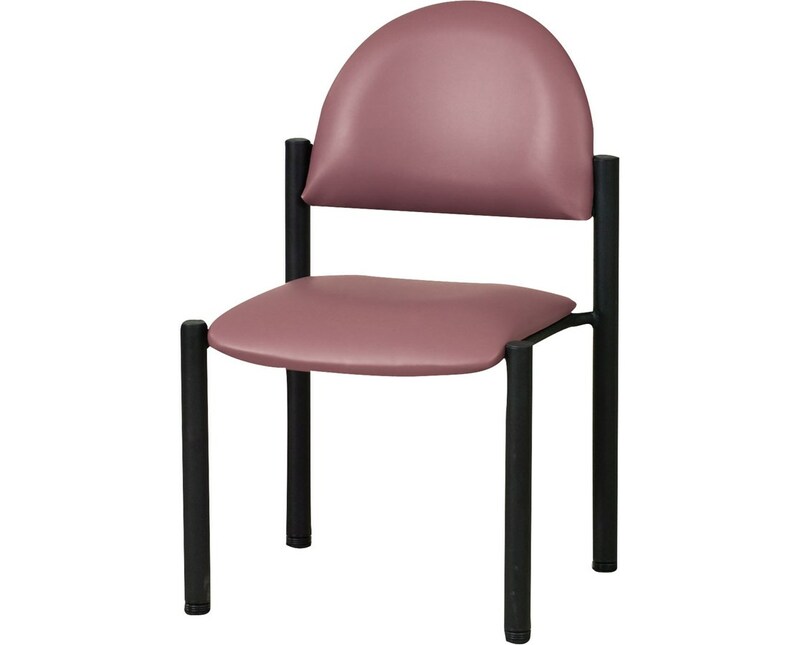 It is designed to provide patients with optimal comfortability. 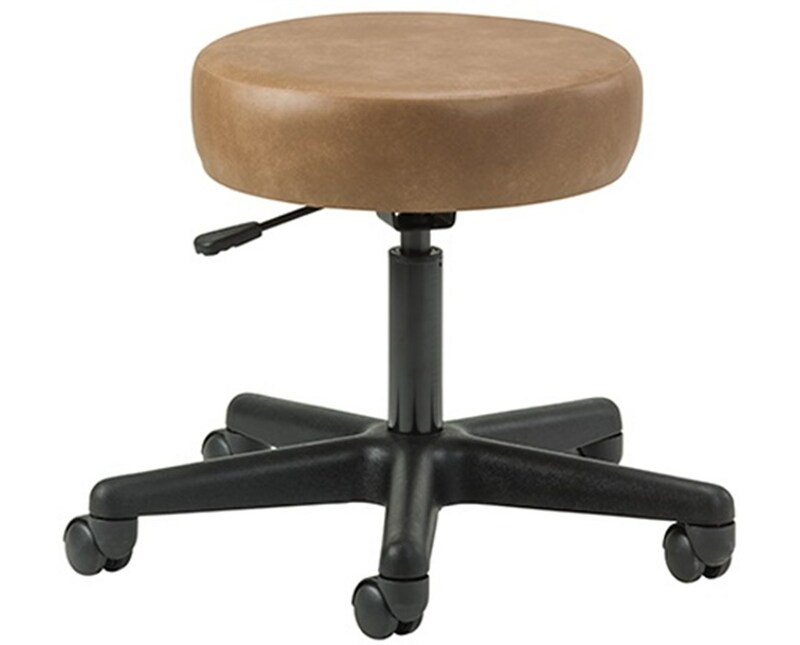 With its 2" durable, firm foam padding, the Exam Side Chair features heavy-duty legs with a 300-pound weight capacity under normal use. The Exam Side Chair has a size of 18" H x 17.5" W x 18" D and a choice of Upholstery Colors. Table Height 21" - 34"
Height Range: 18" - 23"